The Saga of Recluce chronicles the history of this world with world-building detail and an ingenious and disciplined magic system. 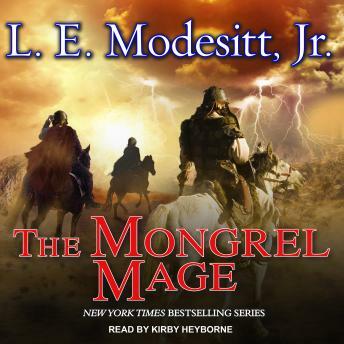 L. E. Modesitt, Jr., returns to his longest and bestselling fantasy series with volume nineteen, The Mongrel Mage, which marks the beginning of a new story arc. In the world of Recluce, powerful mages can wield two kinds of magic-the white of Chaos or the black of Order. Beltur, however, has talents no one dreamed of, talents not seen in hundreds of years that blend both magics. On the run from a power-hungry white mage, Beltur is taken in by Order mages who set him on the path to discover and hone his own unique gifts and in the process find a home. However, when the white mage he fled attempts to invade his new home, Beltur must hope his newfound power will be enough to save them all.